You either hate it or you love it. Castile. I used to be on the “hate it” team. But I never tried an aged…well cured bar of castile. Now I’m on the “love it” team! 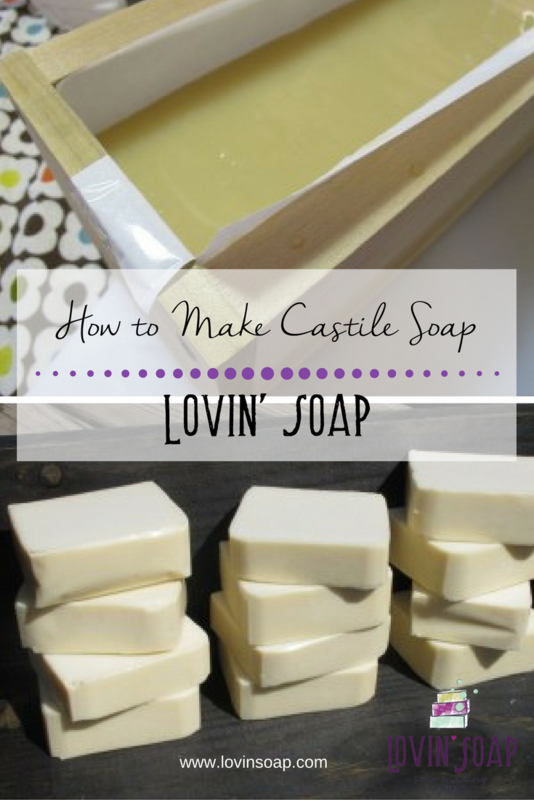 To me castile means a soap made out of olive oil only (+lye and water). I know to some…castile is a soap made with “mostly” olive oil and can contain other vegetable oils. I make my castile with no added color or fragrance. It’s just a beautiful cream colored bar of soap. I let mine cure for at least four months. The recipe is simple. 100% olive oil. So determine how many ounces of oils your mold holds and go with that. My mold holds 48 oz of oil. 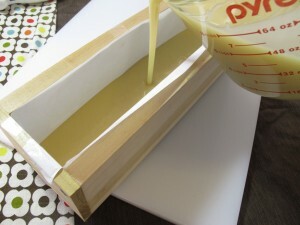 I like to do a 5% superfat with castile so that will give me 6.2 oz lye for 48 oz of oil. I take a steeeeeeeep water discount when making castile. I usually multiply my lye amount by 1.1 to get my water amount. Since my recipe calls for 6.2 oz of lye, I’ll use 6.8 oz of water. *Please note that doing such a high water discount makes your lye solution much more potent and dangerous if splashed on you. Wear gloves, goggles, shoes and long sleeves to help protect against splashes. Since your solution if much more concentrated make sure that the lye crystals are completely dissolved before adding to your oils. For all my soaps I use Soapers Choice Refined A Olive Oil. I personally don’t like pomace olive oil in soap; other soap makers use it. Olive oil is traditionally slow to trace but with such a steep water discount…it won’t take long at all to trace. To start. Make your lye solution. 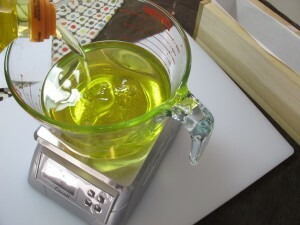 Let it cool down a bit to 90-100 degrees F.
Measure out your olive oil. I leave it at room temp…I don’t worry about heating it up or making it the same temp as the lye solution. Add your lye solution carefully to the olive oil. Be careful with splashes! Stickblend until your soap reaches trace. Pour it into your mold. Cover and insulate as usual. 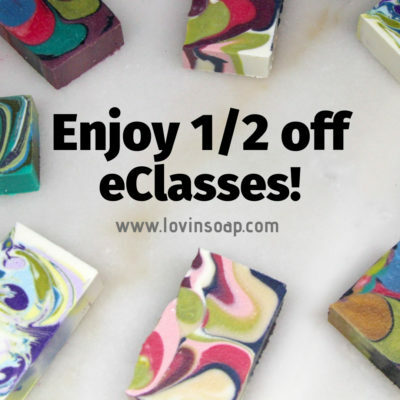 Since we’re using such a high water discount…your soap will probably not gel. No worries though…this soap is rock hard after about 2 days in the mold. Normally we think…high olive- must not cut right away. But you’ll find that this is super hard after a day or two and ready to cut. Be sure to cure your castile in a cool dry place without the bars touching (as that can trap moisture). Cure them for at least four months. The longer the better! So…if you haven’t given castile a try…give it a go! Or maybe you’ve tried it and hated it. Try it again! The high water discount and a long cure make for a really nice bar of soap. This is creamy. I will make one. 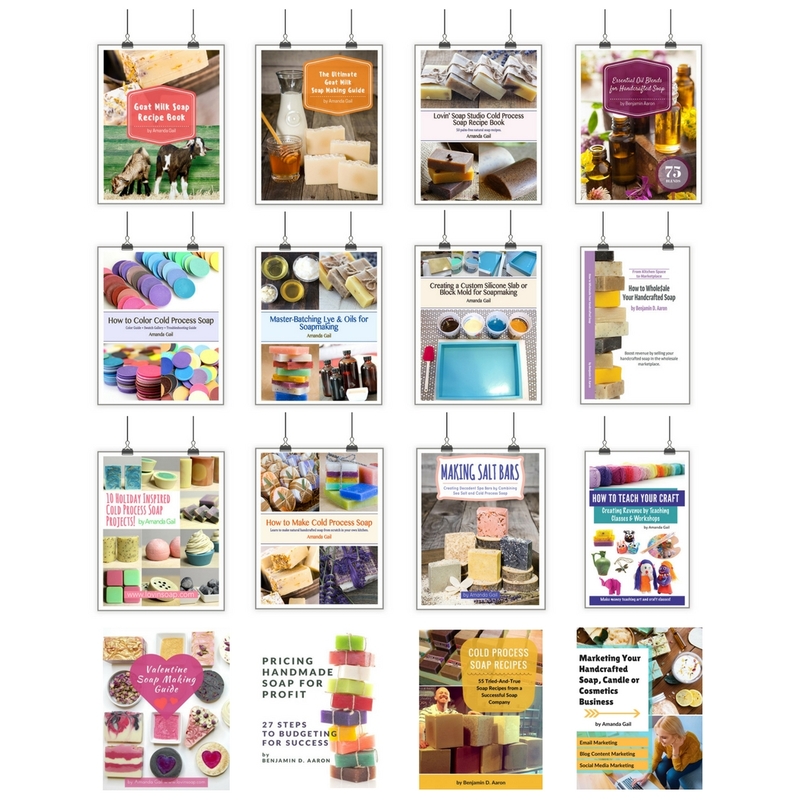 But can you help to make dish wash bars. Do you have to use caustic soda ??? 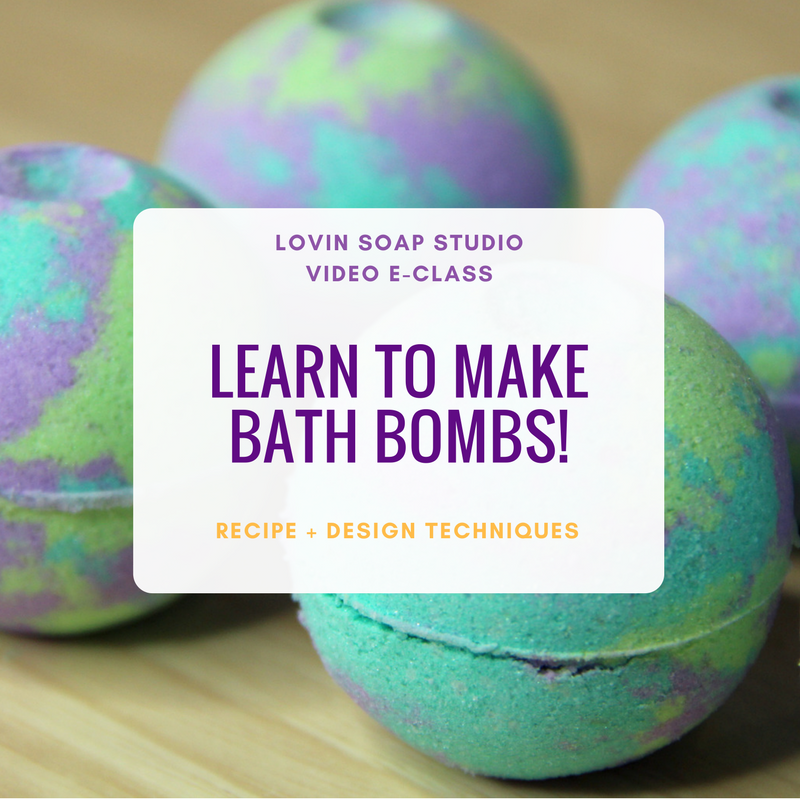 Love the recipe – I added a few ounces of castor oil to increase the suds. The soap was rock hard in just over 24 hours. A little difficult to cut. The soap is just beautiful, so smooth and it feels as it would have a nice slick feel for bathing. 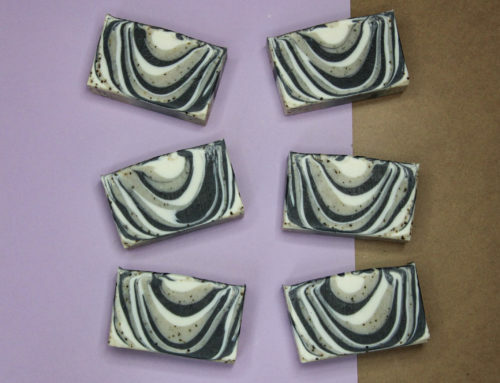 We have friends who are allergic to almost everything and they feel like this soap with no fragrance or color will be just perfect! 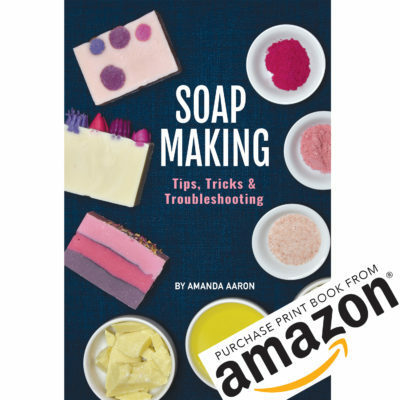 Hello Amanda, I am new at soap making… So I am reading and reading all the tips and ideas… sorry about my ignorance… what is the difference between a castil soap and the others cold process soaps? What make you choose between each one? Thank you. Okay, so I am green, very green – my 2 pound mold hasn’t even arrived yet! Your post was great on figuring out how much lye and water to use with Olive Oil to make castile soap. What I’m still uncertain about is how much oil(s) to use. If my mold is 2 pounds do I assume that I use 32 oz of OO? Do I subtract the amount of lye/water that goes into the OO to make the total amount 32 oz? Just want to get a recipe right and not waste everything and start out discouraged. I’m excited to start but don’t want to foul everything up. How much OO do I use for a 2 pound mold? Thanks so much!!! 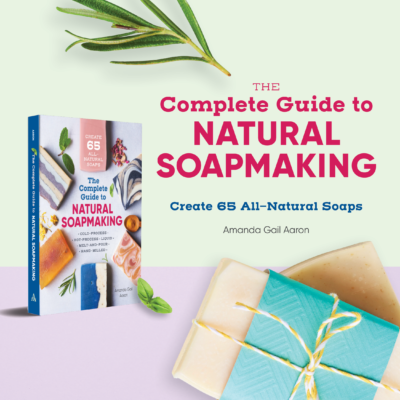 hi Amanda, love your post.May i know if all castile soap color must be creamy white?i have used 100% extra virgin olive oil and my soap color is creamy but light brown instead of white. is it because of my extra virgin oil is not pure? i have tried another brand of extra virgin oil and the color is creamy white. Love your soap. I have been wanting a good castile recipe. Tried yours today and used olive pumice. OMG what a quick trace. I keep stiring ( It didn’t want to) but I finally plopped it in mold. Plopped and begged is more like it. Hope it works. Hi there! What is the size of your soap mold? Quick question about Castile Soap. I typically put Kaolin Clay in my soap batches. Would adding 2 tbsp of K. Clay benefit Castile soap? I am fairly new to this, could you tell me if your 5% super fat is already included or should I add after oil is mixed with lye. I always get confused with this part. What is a high water diccount? Does that just mean you use less water? Why do you use this method with this recipe? You said the super fat is included in the recipe, however, all I see is olive oil. What is the super fat used and how much? Anyway, thank you very much for this tutorial because I have always wanted to try castille. Hi there – your castile loooks great! I’ve been making castile for years. As well as a few other unscented bars. I’ve been curious about water discounting because of the orange spots that I get sometimes. Does the water discount help with this? Thank you Amanda Gail for this great information. I made a batch of the Castile soap a few days ago and everything went well. I used a 55% Water to the lye instead of the 50/50 ratio and put the soap in a warm oven with the heat turned off and the oven light left on. Unmold the next morning and that evening when I went to but the soap using my Tank cutter I could barely get the guitar strings through the soap. Is that normal for it to be that hard to cut? 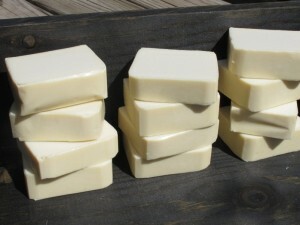 How many bars of castile soap do you make with 48 oz of oil and how much is the approx weight of each bar? I want to try this. Okay, I’m going to try it again. I didn’t let mine cure long enough and I’m inspired to do it again. I better get soaping! Thanks for the article! I made castile soap 6 months ago and you are right. The longer it cures the better it is. 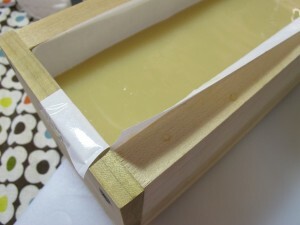 We just started using a bar of it and it lathered up great and held the mild fragrance oil I used in it equally great. Awesome! The blend sounds amazing. I can’t wait to see the blog post! Thanks for posting all that info. I haven’t tried pomace olive oil yet. That’s interesting about it moving so fast! Ok I made it! I used the same quantity of lye as water (ran it all through Soap Calc first, just to be sure). I used Olive Pomace because it’s what I had most of. I did fragrance with a blend of Sweet Orange, May Chang, Lavender, Patchouli, Geranium & Ylang Ylang – divine! I was stick blending just fine and I tend to err on the side of caution and maybe SB’d it a little too much and it got very thick and puddingy in texture (like the creamiest nicest pudding you’ve ever seen). I plopped it all into my mould and banged it like crazy to get it all to settle and have no air bubbles. I used some TD because my pomace is a yucky green and I don’t like it much so I wanted to tone it down. However, when I added the lye water (with silk added btw) it changed the oils (with TD) from a creamy green to a beigey/creamy colour! It’s heated up like crazy! I shoved it in the fridge an hour and a half ago and the bottom of it is still very hot. Pomace does speed trace so maybe I shouldn’t have used such a steep discount or should have used a Golden Olive oil but I hadn’t enough in the house. To answer my previous question, my mould managed 1kg of oils/butters and, for this, I made 1.2kg of oil and it’s fit just fine so yes, reducing the water level will reduce the size in your mould. So the soap is now in the fridge and I’ll leave it there all night – I suspect it will, at least, partially gel. It smells amazing though – think this is the most intriciate EO blend I’ve ever used. hi… i know this post was way back 2011 but i am still hopeful that i will get a response from you. 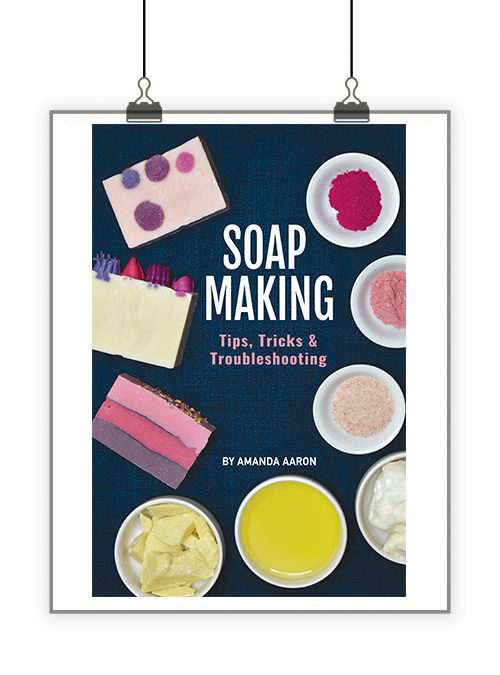 May i know the ratio you used when you mixed Sweet Orange, May Chang, Lavender, Patchouli, Geranium & Ylang Ylang for your Castile soap? tried making my own yet as i wanted to gain more informations more before doing so. One thing I was just thinking about the water discount … does this mean that my bar size will be smaller given the quantity of liquid (lye water & oils) would be less as there is less water? (sorry if this is a stupid question). I wanted my bars to be the same size so perhaps I should up my oil amount (with the corresponding increase in water & lye of course) to allow for this…. is this making sense?? You know…I’m not sure. In theory…you’re using the same amount of oils as your regular batches. The only difference is that there will be less shrinkage during cure for the castile because you start off with less water in the beginning. If that makes sense. But it wouldn’t hurt to make your batch a bit bigger. your bars look fantastic a! i love how white they got, and you’re using pure olive oil which has a green tint! a four-month cure?! i am way too impatient for that. 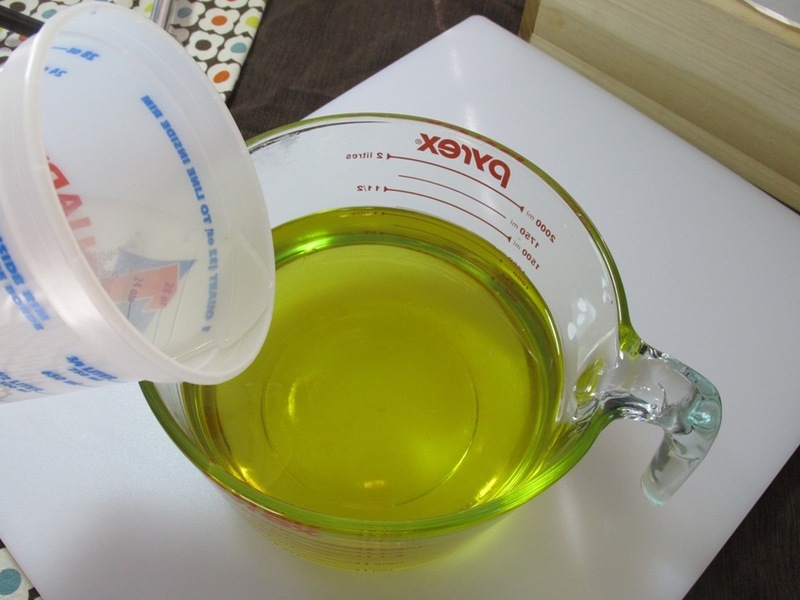 have you ever done a hot processed castile soap? :). Let me know how it goes! Ah God, you did a whole blog post for me??? I’m stunned!!! Yay!!!! 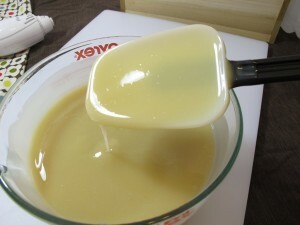 I’m so making a Castille soap in your honour this weekend!!! I have to scent it though, can’t not … will you forgive me? A blog post for me… stunned! I read about the water discounting effecting gel in Kevin Dunns new book. The less water you use the less likely for gel to occur (the harder you have to force it) and the more water you use the easier to gel. 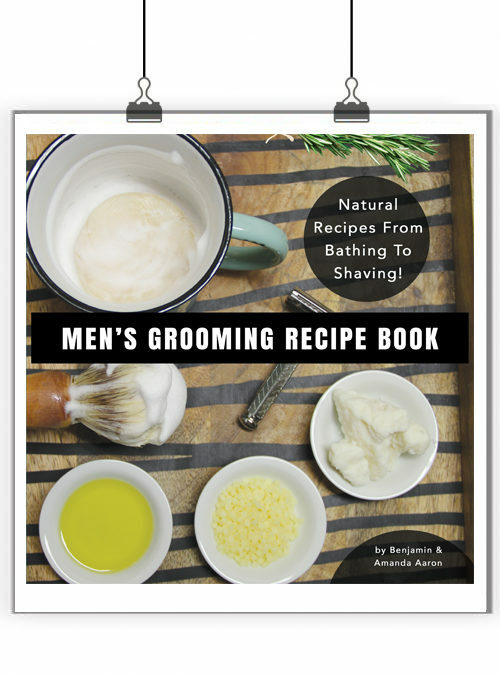 It’s a great book with great info. I highly recommend it. oh wow! I had no idea that the water discount effected gel! if you could elaborate I would really appreciate it!! I started water discounting the same time I started using colorants.. and I thought that maybe they were constantly preventing gel.. I even started oven processing and letting it get WAY to hot and not seeing much gel.. the soap got super hard anyway, but it was still weird to me! OOooo! I didn’t know about the steeep water discount! I stupidly mixed up a master batch of lye at a 50:50 ratio and am now afraid to use it. I tried it once and screwed it up royally. NOW I know what to do with it! Thanks Amanda! 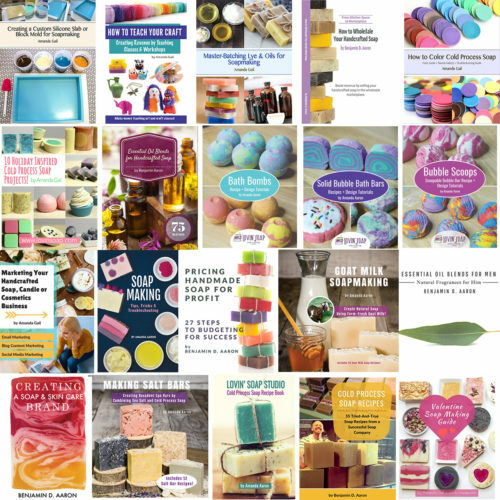 Castille soap, here I come!